By J. Michael Waller, Victims of Communism Memorial Foundation, 2002. Twenty-five years ago, Stefan Possony posited the then-radical thesis that the Soviet Union was behind much of the world’s growing terrorist problem, and that otherwise independent terrorist organizations operated in international networks. Possony’s book, International Terrorism: The Communist Connection, published in 1978, blazed a trail that other scholars, journalists, investigators, and intelligence officers would follow. Polite company would seldom entertain such an idea of global, Soviet-sponsored terrorist networks, at least in the days of détente and Jimmy Carter and America’s post-Vietnam malaise. The CIA called Possony’s notion nonsense. Nobody in the prestige press of foreign policy establishment, it seemed, was willing or able to take the idea seriously. But a few others, like Claire Sterling with the strong financial backing of Reader’s Digest, did, and that combined research fired the imagination of President Ronald Reagan’s incoming national security team in 1980 and 1981. The new CIA Director, William J. Casey, ordered a thorough review of intelligence collection and analysis to test the outside writers’ validity – and to test the competence of the U.S. intelligence community in the face of international terrorism. The CIA failed the test. Casey’s contentious intelligence review, which underwent fierce bureaucratic resistance and denounced in press leaks as “politicization of intelligence,” found that Possony was correct. There is virtually no terrorist operation or guerrilla movement anywhere in the world today, whether communist, semi-communist, or non-communist, from the Irish Republican Army to the Palestine Liberation Organization to our own Weather Underground, with which communists of one sort or another have not been involved. This includes non-communist operations and movements, for communist parties and governments always stand ready to exploit disorder in Europe, the Middle East, Latin America and elsewhere, however and by whomever it is fomented. Because Moscow, Peking, Havana and other communist centers are linked to so many terrorist and guerrilla groups and organizations, and because so many of the groups look to those centers not simply for support and assistance but also for ideological inspiration, the groups often seem to be connected with one another. They are certainly cooperating with one another more and more, as if they constituted a Terrorist International, controlled and directed by some central authority. This study does not make that claim because the facts do not warrant that conclusion. But it does recognize – and will show – that a significant degree of coordination of terrorist activities does exist, and that it is mainly communists who are doing the coordinating. Three times in the above passage, Possony cited links – relationships that facilitated operations without necessarily placing them under centralized control – to non-communist Palestinian or Middle Eastern terrorist organizations. In so doing, he described the early stages of an international terrorist network in which the Soviet Union and other communist governments and movements facilitated the rise of non-communist terrorist organizations and networks in the Middle East and the Muslim world: Links are connections, not organizational operations of a subsidiary nature like a front or cover. By their nature links are circumstantial. Links are not found by unearthing a secret communiqué or master plan, but by close attention to travel; exchange of personnel, money, arms, and materiel; propaganda, solidarity pronouncements, friendly acts and the provision of legal help to those who are arrested. Links are the stuff of informal working relationships that are usually more cost effective, and always less risky, than formalized ties. This prompts questions after the first anniversary of the 9/11 attacks on the United States: To what degree do 21st century Islamist terrorist networks owe their origins in the communist terrorist networks built and armed by the Soviet Union? Had there been no USSR, would there be an Axis of Evil today? Before discussing the Soviet incubation of Arab and Islamist terrorist organizations, let us first study how subsequent scholarship and journalism has contradicted or validated Possony’s central thesis, which is that communist countries, led by the Soviet Union and its proxies like Cuba, had their hand in terrorism throughout Asia, Africa, Europe, and the Americas. First, nothing about the thesis should have been as startling as it was at the time. Soviet support for revolutionary movements that deliberately employed terrorism as a part of their politico-military strategy was a tradition dating to the Bolsheviks, whose leader, Lenin, wrote approvingly about using terrorism in principle as a tool of seizing power in the course of waging revolutions that would take over the world. Moscow was a major, open backer of “national liberation movements” in 1960s Africa and Asia. But many of these movements, mainly fighting Western-backed governments and regimes, were not “terrorist” per se. Many if not most of the “national liberation movements” practiced terrorism under Possony’s definition, but they were organized more as irregular paramilitary forces than as purely terrorist units. Western observers (and indeed, the Soviets themselves in internal discussions and documents that came to light after 1991) drew distinctions between Soviet support for guerrilla movements and for terrorists, subjective distinctions to be sure, but for our purposes a useful guideline for discussion. United States law, which the federal government has employed for analytical purposes since 1983, draws the distinction thus: The term ‘terrorism’ means premeditated, politically motivated violence perpetrated against noncombatant targets by subnational groups or clandestine agents, usually intended to influence an audience. The term ‘international terrorism’ means terrorism involving citizens or the territory of more than one country. The term ‘terrorist group’ means any group practicing, or that has significant subgroups that practice, international terrorism. The evidence compiled since 1978 from intelligence services, defectors, scholars, journalists, and ultimately from the archives of the former Czechoslovakia, East Germany, Soviet Union and elsewhere, effectively closes the door on the debate about whether or not the USSR and its proxies armed and built the international terrorist networks of the 1960s through ‘80s. Academic conferences brought together some of the West’s top scholars and practitioners to explore the subject, bringing with them defectors, eyewitnesses, and documents. Scholarly books, congressional hearings, and some investigative journalism produced incontrovertible evidence. Among other things, the researchers and writers pieced together the patterns showing that while Soviet-line Communist Parties generally did not engage in terrorism as organizations (albeit with some very important exceptions, especially in Latin America), extremist groups outside the Soviet formal party political control system did. Moscow seized on these groups, many of which it could not control outright but could influence by providing weapons, training, and other assistance, as surrogates with which to attack the global interests of its main enemy, the United States. Often the Soviets used their more radical satellite regimes and client states as surrogates and cutouts, providing a thin but necessary coat of deniability. Sometimes those satellite regimes and client states – Cuba and East Germany, in particular – actually pressured Moscow on their own to provide serious support to terrorist causes. Initially, the Soviets backed “wars of national liberation” against European colonies in the Middle East, Africa and Asia. Later they would extend campaigns to strategic targets that would serve as stepping stones for Soviet global power projection: states that flanked or occupied Western maritime chokepoints, territories rich in strategic minerals, or locations for aircraft forward-basing and refueling. Others have since eclipsed Haddad, but he was a major terrorist figure of his day. Documents from the Kremlin archives which came to light after the 1991 Soviet coup provide insights into Haddad’s relationship with Moscow and into the quality of Possony’s own open-source analysis. Since 1968, the Committee for State Security [KGB] has maintained clandestine contact with Waddih Haddad, Politburo member of the Popular Front for the Liberation of Palestine (PFLP) and chief of the PFLP’s foreign operations. The chief purpose of the PFLP’s special actions is to increase the effectiveness of the struggle of the Palestinian resistance against Israel, Zionism, and American imperialism . . . at the present time, the PFLP is preparing a number of special operations, including a strike against the major oil reserves in various regions (Saudi Arabia, the Persian Gulf, Hong Kong, and others), the destruction of tankers and supertankers, operations against American and Israeli representatives in Iran, Greece, Ethiopia, and Kenya, a raid on the diamond center building in Tel Aviv, and others. W. Haddad appealed to us to help his organization obtain several types of special technical devices necessary to conduct subversive operations. In appealing for assistance, W. Haddad clearly recognizes our aversion in principle to terrorism, and so is refraining from raising any matters related to this direction of the PFLP’s activities. The nature of relations with W. Haddad enables us to oversee to a certain extent the operation of the PFLP’s department of foreign operations, to influence it in ways favorable to the Soviet Union, and to carry out active measures in our interests with the forces of his organization, while observing the necessary secrecy. Taking the abovementioned into account, it would seem expedient at the next meeting to treat favorably Waddih Haddad’s request to help the PFLP with special devices. As for the specifics of providing aid, it is intended that these matters be decided on an individual case basis, keeping in mind the interests of the Soviet Union and avoiding any possibility of damage to our national security. The politburo granted the request, literally approving arms shipments they Soviet leadership knew could be used against American targets and civilian commercial shipping. The first page of the Andropov memorandum contains the signatures of most of the politburo members, including Brezhnev. The KGB informed the politburo of the smallest details of terrorist support. The illegal transfer of weapons was made in neutral waters in the Bay of Aden at night without making contact and with strict observance of security, using a reconnaissance ship of the USSR navy. Haddad is the only foreigner to know that the weaponry in question was transferred by us. Yevgenia Albats, one of Russia’s most talented investigative journalists, briefly had access to Soviet Communist Party politburo files that confirmed Moscow’s role as a center of international terrorism support. In the chaotic days following the 1991 coup, she accessed the Soviet presidential archive and came away with bags full of photocopied terrorism documents, some raw operational paperwork and some official correspondence between the KGB and the party leadership itemizing millions of dollars of cash transfers to foreign communist parties, guerrilla forces, and terrorist groups. c) In cooperation with the USSR Ministry of Culture, carry out measures concerning the legal aspects of the acquired collections. . . .
c) With the USSR KGB, decide on the exhibition of individual objects and groups of articles for the collection. The Palestinian group stole art and antiquities from a Lebanese bank, for which the Soviets traded $20 million worth of weapons. The treasures themselves, according to Albats, were worth as much as $9 billion. (Franchising terrorism was lucrative for the Soviet bloc. The East Germans found their regime had become financially dependent on Libya, and actively facilitated Libyan-sponsored terrorism to continue the flow of petrodollars to East Berlin.) The Soviets even entertained requests from terrorists who had financed their operations by kidnapping wealthy individuals, but who had run out of people to kidnap. We are of course trying to obtain financial means through our own efforts, including a ransom from representatives of the local oligarchy, if we succeed in kidnapping them. However, the progress of the armed struggle has caused almost all of them to flee the country, and now they live abroad. . . . Similar information has emerged from the records of the Stasi security and intelligence service of the former East Germany. Combing through original Stasi documents and defector accounts, and interviewing former Stasi officers, veteran Associated Press correspondent John O. Koehler paints a vivid picture of how the East German government operated as a Soviet proxy in support of international terrorism, and how it even pushed the Soviet leadership further into the terrorism business. Koehler describes detailed Stasi reports of support for terrorism in Europe, the Middle East and Latin America, as well as the Stasi’s 1986 collaboration with Libyan operatives who planted a bomb in a West Berlin discotheque known to be frequented by American servicemen, killing at least three and wounding 234 – and how the Stasi and East German political leadership plotted to make the Americans think they were helping the U.S. fight terrorism without really doing so. Even Fidel Castro of Cuba was not as doctrinaire as he appeared. Embracing the enemy-of-my-enemy philosophy, the regime trained a large number of Latin American Trotskyist groups in terrorism in addition to the tens of thousands of guerrillas and terrorists loyal to the Cuban and Soviet brands of communism. Defectors from Cuba’s DGI intelligence service report that Havana operated in the Middle East among Arab radicals as part of Castro’s revolutionary network, and by the 1980s actively recruited and trained Muslim terrorists from the Middle East and South Asia. Cuba and Palestinian terrorists forged a decades-long operational relationship that continues to this day. Then there were the other Soviet client states and proxies, including North Korea, one of the less studied but more active communist sponsors of terrorism. The Soviet bloc was not alone in the communist world in support for terrorism. Newly declassified Nixon administration archives reveal that in the early 1970s the United States considered the People’s Republic of China (PRC) to be a state sponsor of terrorism. The PRC continues to develop terrorist theory as part of its own evolving military and security doctrine. The Chinese People’s Liberation Army (PLA) publishing house has produced theoretical works in recent years that explicitly endorse the use of international terrorism as an asymmetrical weapon against a more powerful foe, understood to be the United States. Unrestricted Warfare, authored by PLA Colonels Qiao Liang and Wang Xiangsui and published by the official military publishing house in 1999, is one of those works. Coldly well-reasoned, the book calls for the assassination of traders and currency speculators, endorses what the authors call the “traditional terror war,” hints of al Qaeda-style attacks by arguing that “traditional ways” only “represent less than the maximum degree of terror,” and calling for the use of “superweapons” to be directed at a powerful enemy. The post-Soviet Russian Federation remains stuck in a twilight zone between its totalitarian past and its future. Despite many reforms, neither the elites nor the population truly have broken with the Soviet legacy, let alone rejected it. Russia has undergone no de-communization process that would expose the crimes and discredit the old regime. It has not, as the Poles, Czechs and Slovaks, eastern Germans and Balts have tried to do, attempted to screen its new political, economic and juridical leaders to ensure they were not culpable for past state crimes. It has not removed the official iconography of the old instruments of political repression and state terror. Instead, it has preserved the Leninist sword-and-shield emblem of the Bolshevik Cheka secret police as the crests of the internal security services, the foreign intelligence service, the national police in the Ministry of Internal Affairs, and the prosecutors under the State Procuracy: the sword-and-shield of the Bolshevik revolution, the sword that Lenin declared may have to smite the innocent to preserve the political elite. It has not laid bare the terrorist archives of the Communist Party leadership (Albats had access to the archives for only a few days in the chaos following the coup against Gorbachev). Instead, it has kept them under lock and key, and passed laws keeping the secrets hidden for seventy years. So it should come as no surprise that a KGB officer would become president of the Russian Federation. Vladimir Putin’s unusual ascendancy raises still further questions about the legitimacy of Russia’s democratic government, where an obscure KGB lieutenant colonel who controlled the hard currency accounts for the city of St. Petersburg suddenly became chief of the re-named units of the former KGB internal security structure, and was plucked from there to become prime minister. From there, a series of explosions that leveled apartment buildings in Moscow and other cities propelled Putin effectively to depose an ailing and unpopular President Boris Yeltsin, and to take the presidency for himself. Those curiously timed explosions, in which hundreds of people died as they slept, were immediately blamed on Islamic Chechen terrorists seeking independence from Russia, even though they didn’t fit the Chechens’ modus operandi and were never again replicated once Putin took power. Scholar David Satter and Russian journalists have pieced together the clues to the deadly blasts, thanks to a botched bombing of an apartment building in the city of Ryazan. Locals caught state security agents from Moscow in the act, the chekists lamely said the explosives were just sacks of sugar and the exercise only a drill, and the matter quietly disappeared until local journalists and Satter resurrected it, prompting questions about the legitimacy of the Putin government. Moscow’s relations with state sponsors of terrorism have changed since Soviet times. Today the ties are more commercial than ideological, to the point of shutting its eyes to the creation of future problems that Russia itself one day must confront. An example is Moscow’s aggressive policy of selling advanced military technologies to China, Iran, and Iraq, including weapons of mass destruction and their delivery systems. Most observers agree that the overriding purpose is to generate cash for Russia’s starving government and private sectors, and the armed forces. Moscow no longer actively supports international terrorism as a matter of policy. That role has been taken over by Iran. Most of the regimes sponsoring international terrorism in 2002 are still distinctly of a Soviet-era bent. We find, 25 years after Possony wrote his thesis, the states providing sanctuary, funds, weapons and other forms of support to international terrorists are mainly former Soviet client-regimes that survived the Soviet collapse. The U.S. Department of State classifies seven governments worldwide as state sponsors of terrorism: Cuba, Iran, Iraq, Libya, North Korea, Sudan and Syria. Of the seven, five – Cuba under Fidel Castro, Iraq under Saddam Hussein, Libya under Muammar Qaddafi, North Korea under Kim Jong-il and Syria under the Assad family – are ruled by individuals or family dynasties originally installed or propped up by the Soviet Union. The Islamic Republic of Iran, though harshly anti-communist, took power with Soviet covert and diplomatic support in 1979 and built its substantial military on weapons from the USSR and the People’s Republic of China. Thus the Axis of Evil – which President George W. Bush identified as Iran, Iraq, and North Korea – was a Soviet creation. The present-day Arab and Islamist terrorist networks find their origins in the Soviet terrorist support campaigns. Possony itemized the Soviet-backed regimes that supported them: Muammar Qaddafi’s Libya, as well as Iraq, Syria, Algeria, and Fidel Castro’s Cuba, East Germany, Czechoslovakia, and the Soviet Union. Palestinian terrorism, then aimed almost as much (sometimes even more) at anti-Soviet Arab governments in Egypt, Jordan, and Saudi Arabia as at Israel, owed its rise to the weapons, diplomacy, and political warfare machinery of the Soviet Union and the Soviet bloc. In its process of expanding and consolidating influence in the Arab world after the 1967 war with Israel, the Soviets used the PLO as a vehicle through which to gain Arab sympathy and as an instrument to attack the United States and its Middle Eastern interests. Moscow won whether or not a peace agreement with Israel occurred. This occurred in the context of radical secular movements and regimes such as Egypt under Nasser’s brand of Arab nationalistic socialism, the one-party Ba’athist regimes of Assad in Syria and Saddam Hussein in Iraq, and the peculiar personal dictatorship in Libya of Qaddafi. Marxist-Leninist ideology had little appeal in the Arab world, and the Soviets dispensed with their own Palestinian surrogate, the Communist PFLP, to embrace Yasser Arafat and his less radical but more popular Al Fatah faction. The fractious Palestinians could not unite in their campaign against Israel, and it took direct Soviet intervention to anoint Arafat, then a dynamic young man in his 30s, as leader and to prop him up politically, economically, militarily and diplomatically. Arafat consolidated control by perpetrating extremist actions that would rally Palestinians around him. After the 1973 Arab-Israeli war, in which Moscow’s Arab allies were trounced yet again, the Kremlin depended more and more on the PLO as its diplomatic vehicle and action arm in the region. The PLO “served as a transmission belt for the export of KGB terrorist techniques to other regions and hence constitutes an essential element in Soviet regional and global strategy.” The Soviet propaganda apparatus gave constant, unqualified support to the PLO, with large-scale material assistance and terrorist training beginning as early as 1974. Clearly, there are important differences between the various bodies that constitute the Palestine Liberation Organization. Some of the fedayeen are simply nationalists, some are Islamic socialists, some – a distinct but dedicated minotiry – envision creation of a revolutionary Palestinian state ruled by a dictatorship of the proletariat and they look variously to Moscow, Peking and Havana as their model. Because of the differences that exist within the PLO, it is virtually impossible to synthesize or identify a Palestinian ideological position, but as we have already shown, the Soviets are not deterred from supporting and assisting a guerrilla movement simply because the movement is not communist. They have not been deterred from supporting Libya and assisting the PLO. In addition, PLO serves as a weapon not only against Israel but against the pro-Western Arab states, Jordan, Saudi Arabia, and now Egypt; and also Lebanon, which is a special case. A 1973 study of the fedayeen undertaken by the London-based Institute for the Study of Conflict summarizes some of the reasons why the PLO has largely remained ‘impervious’ to communist influence despite the presence of avowed Marxist-Leninists in its ranks. Among them: ‘the tenacity of Islam, the absence of either an industrial proletariat or reservoir of discontented peasantry, personal and family rivalries, lack of sanctuaries . . . and above all the inability of Marxism-Leninism to adjust to the chameleon quality of Arab politics. Finding success in their new strategy of aiding non-communist Muslim radicals – and even sacrificing their own doctrinaire Leninist operatives to the more numerous and effective Palestinian nationalists and Islamists – brought the Soviets a step further toward bankrolling extreme Islamic terrorism, this time in Iran. Soviet support for the 1979 Iranian revolution and the ascendancy of an Islamic republic under the leadership of the Ayatollah Khomeini, which ushered in an era of Iran as one of the world’s prime sponsors of terrorism, is less well-known than Soviet involvement in Cuba, North Korea, Iraq, and Syria. Iran was long a Soviet prize, a target of unsuccessful conquest by Stalin during World War II and again in the early 1950s, when the United States backed the return of the monarchy under Shah Reza Pahlavi. The Soviets invested substantially in covert operations against Iran during the Shah’s days as one of Washington’s staunchest allies in the region. Former Czechoslovak intelligence officer Ladislav Bittman writes that Moscow pursued a two-track policy toward the Shah: respectable non-involved relations on the one hand, and covert operations to undermine his government on the other. The Soviets praised the anti-U.S. movement against the Shah and tolerated Khomeini’s religious fanaticism, while attempting to push the Iranian revolution toward communist ends under the vanguard of a well-financed and well-organized Tudeh communist party. The Soviets aggressively recruited in Iran: “The KGB built a vast intelligence network among all strata of Iranian society, involving the Islamic clergy, radical students, Tudeh members who were ordered to dissociate themselves from the party immediately after they were recruited, and members of several ethnic groups fighting for national independence” inside Iran. Moscow catered to the extreme fundamentalist mullahs, providing expensively printed copies of the Koran and issuing statements supportive of Khomeini. A Soviet-controlled National Voice of Iran, based in Baku, helped organize anti-Shah demonstrations. Even Iranian Communist (Tudeh) Party Secretary General Nouredin Kianouri had a Khomeini portrait in his office. The student radicals who seized the American Embassy in Teheran on 4 November 1979, sparking the 444-day hostage crisis, were more Marxist than Muslim, according to Bittman. The hostage-takers, calling themselves the Muslim Students Following the Imam’s Line, included three Marxist groups: the Islamic-Marxist Mujahideen (now known as the People’s Mujahideen and based in Iraq), the Marxist Guerrilla Fedayeen, and the Tudeh Party. Although clerics frequently assailed the Tudeh Party, the communist group maneuvered tactically to pledge support for the Islamic fundamentalists and ordered its members to penetrate the new revolutionary government. Though ties with Moscow quickly became strained with the Soviet invasion of neighboring Afghanistan in December, the Kremlin smoothed over relations by helping Teheran circumvent Western sanctions. For years the KGB circulated forgeries of U.S. documents to fan confusion and anti-American hysteria in Iran. The Soviets sided with Khomeini during the Islamic crackdown against Iranian leftists, sacrificing their own loyal cadres. The KGB helped the ayatollah build his own elite Islamic Revolutionary Guard from members of the Soviet-backed, PLO-trained, Organization of People’s Fedayeen Guerrillas, to counter the power of the U.S.-trained Iranian army, as the shock troops of the revolution. In 1981, KGB advisers visited Iran to help the fundamentalist regime build a security force and intelligence service. The partnership didn’t last long, thanks to the Soviet war in Afghanistan, Soviet neutrality during Iran’s war with Iraq, and the defection of a KGB officer in Teheran, Vladimir Kuzichkin, who revealed to the British the extent of Soviet covert operations against Iran. Even so, Soviet crucial backing of Khomeini was decisive in helping direct the revolution Khomeini’s way, and to consolidate it with security assistance and diplomatic and propaganda support. Furthermore, it marked another point on the continuum between initial Soviet backing of non-communist Arab and Muslim radicals and the Islamist terrorism of the 21st century. Astatus report finds that the hub of 21st century terrorism is no longer old-line Communist except for pockets like the FARC of Colombia, fanatical Maoist movements like the dying Sendero Luminoso or Shining Path of Peru (though far-left, Marxist political extremism remains strong throughout Latin America, especially in Brazil) and the growing revolution in the Himalayan kingdom of Nepal. The predominant terror networks today are mostly various mutations of Islam. Today we find that the mullahs of Iran adopted some of the Palestinian terrorist groups that spawned under the Soviet-backed PLO, and that the Soviet-installed regimes that provoked terrorism in the 1970s were still at it by the turn of the Christian millennium. Iran remained the most active state sponsor of terrorism in 2000. It provided increasing support to numerous terrorist groups, including the Lebanese Hizballah, HAMAS, and the Palestinian Islamic Jihad (PIJ), which seek to undermine the Middle East peace negotiations through the use of terrorism. Iraq continued to provide safe haven and support to a variety of Palestinian rejectionist groups, as well as bases, weapons, and protection to the Mujahedin-e-Khalq (MEK), an Iranian terrorist group that opposes the current Iranian regime. Syria continued to provide safe haven and support to several terrorist groups, some of which oppose the Middle East peace negotiations. Cuba continued to provide safe haven to several terrorists and U.S. fugitives and maintained ties to state sponsors and Latin American insurgents. North Korea harbored several hijackers of a Japanese Airlines flight to North Korea in the 1970s and maintained links to other terrorist groups. Finally, Sudan continued to serve as a safe haven for members of al-Qaida, the Lebanese Hizballah, al-Gama’a al-Islamiyya, Egyptian Islamic Jihad, the PIJ, and HAMAS, but it has been engaged in counterterrorism dialogue with the United States since mid-2000. Communists and Islamists are working together, collaborating with one another in the continued sponsorship of terrorism, the sheltering of known terrorists, or the incubation of destructive designs against the United States. A significant degree of coordination of terrorist activities does exist, and . . . it is many communists who are doing the coordinating. Put differently, if communist governments and political groupings, of one ideological emphasis or another, were to cease terrorist activity and assistance, the present wave of international terrorism would be squashed. Change the word “communist” to “Islamist” (as opposed to Islamic), and we find ourselves in the present day. If the communist-coordinated terrorists had been squashed, or never had existed, would the world be plagued by the present-day Palestinian, Iranian, and Islamist terrorism of the Islamic Jihad, Hizballah, Hamas, al Qaeda, and the many other violent organizations that commit mass murder in the name of God? The intensity and power of terrorism and threats of violence have multiplied almost infinitely since the 1970s. Yesterday’s pipe bombs, hooded gunmen, and hostage-takers, compared to today’s skyscraper attacks and nuclear, chemical and biological weapons threats, seem almost quaint. Like the networks themselves, these new threats of extermination are yet another part of the communist legacy. During the Cold War, Moscow did little to promote proliferation of weapons of mass destruction in comparison to its weapons technology exports of today. By contrast, post-Soviet Russia (including its old Communist Party bureaucracy and politicized security and military forces), as well as Communist China, have opened their inventories to terrorist regimes while claiming to be allies in the war against terrorism. Russia and China have been the two main proliferators of WMD technology to terrorist regimes. The old Soviet arsenal remains a risk to the rest of the world, including to Russia, as biological, chemical and nuclear weapons technologies and their delivery systems proliferate to fanatics ready and even eager to use them. Some of the proliferation fears are based on lax security and the often haphazard breakup of the USSR, which left weapons depots and hazardous compounds, including radiological substances, dangerously vulnerable to organized criminal and terrorist exploitation. Of equal or even greater danger, however, are Moscow and Beijing’s deliberate policies to sell hyperweapon technology, including dual-use nuclear, biological and chemical weapons-production technologies and processes, as well as medium- and long-range ballistic missile systems, to terrorist regimes. These weapons proliferation policies appear to be driven not by ideology but by cold financial considerations to keep weapons design bureaus and production lines open, bring in hard currency, and as a handy byproduct, to provide advanced weapons technologies to forces that could attack U.S. interests. Russian government policy since the 1990s has been to provide chemical weapons technology to Syria, a range of armaments to Iran and Iraq, and to build both a nuclear reactor that can produce weapons-grade plutonium and assist in development of a long-range ballistic missile system for Teheran. Foremost is Iraq. Although it became a signatory to the BWC [Biological Weapons Convention] in 1972, and became a State Party in 1991, Iraq has developed, produced, and stockpiled biological warfare agents and weapons. The United States strongly suspects that Iraq has taken advantage of more than three years of no U.N. inspections to improve all phases of its offensive BW [biological weapons] program. Iraq also has developed, produced, and stockpiled chemical weapons, and has shown a continuing interest in developing nuclear weapons and longer range missiles. Next is North Korea. North Korea has a dedicated, national-level effort to achieve a BW capability and has developed and produced, and may have weaponized, BW agents in violation of the Convention. Despite the fact that its citizens are starving, the leadership in Pyongyang has spent large sums of money to acquire the resources, including a biotechnology infrastructure, capable of producing infectious agents, toxins, and other crude biological weapons. It likely has the capability to produce sufficient quantities of biological agents for military purposes within weeks or so, and has a variety of means at its disposal for delivering these deadly weapons. In January  I also named North Korea and Iraq for their covert nuclear weapons programs in violation of the Nuclear Nonproliferation Treaty. . . . Finally, we believe that North Korea has a sizeable stockpile of chemical weapons and can manufacture all manner of CW agents. Then comes Iran. Iran’s biological weapons program began during the Iran-Iraq war and accelerated after Tehran learned how far along Saddam Hussein had progressed in his own program. The Iranians have all of the necessary pharmaceutical expertise, as well as the commercial infrastructure needed to produce – and hide – a biological warfare program. The United States believes Iran probably has produced and weaponized BW agents in violation of the Convention. Again, Iran’s BW program is complemented by an even more aggressive chemical warfare program. Iran’s ongoing interest in nuclear weapons, and its aggressive ballistic missile research, development, and flight testing regimen. First, Libya. There is no doubt that Libya continues its longstanding pursuit of nuclear weapons. . . . Among its weapons of mass destruction programs, Libya – which is not a party to the CWC – continues its goal of reestablishing its offensive chemical weapons capability, as well as pursuing an indigenous chemical warfare production capability. Libya has produced at least 100 tons of different kinds of chemical weapons. . . . the U.S. believes that Libya has continued its biological weapons program. . . . Libya is also continuing its efforts to obtain ballistic missile-related equipment, materials, technology, and expertise from foreign sources. . . . The United States also knows that Syria has long had a chemical weapons program. It has a stockpile of the nerve agent sarin and is engaged in research and development of the more toxic and persistent nerve agent VX. . . . Syria . . . is pursuing the development of biological weapons and is able to produce at least small amounts of biological warfare agents. . . . In addition to Libya and Syria, there is a threat coming from another BWC signatory, and that one lies just 90 miles from the U.S. mainland – namely, Cuba. . . . For four decades, Cuba has maintained a well-developed and sophisticated biomedical industry, supported until 1990 by the Soviet Union. This industry is one of the most advanced in Latin America and leads in the production of pharmaceuticals and vaccines that are sold worldwide. Analysts and Cuban defectors have long cast suspicion on the activities conducted in these biomedical facilities. Here is what we now know: The United States believes that Cuba has at least a limited offensive biological warfare research and development effort. Cuba has provided dual-use biotechnology to other rogue states. We are convinced that such technology could support BW programs in those states. The DIA report’s overall benign view of the Cuban threat, Bolton and others argue, was due to the fact that the agency’s senior Cuba analyst, Ana Belen Montes, was a Cuban spy. Montes pled guilty to espionage for Castro in March 2002. Old Soviet-installed terrorist regimes, remnants of Soviet-funded terrorist organizations, and uncontrolled Soviet weapons of mass destruction technology mutated all the worst products of communism into an out-of-control mega-destruction crisis that threatens entire civilizations: Organizations, individuals, and weapons with nuclear, chemical, biological or radiological weapons can now wage a form of extermination warfare with the simple resources once reserved for a superpower. Cold War residues again haunt the United States and its allies: the PLO is now in control of a quasi-state entity it calls Palestine, led by one of the most notorious international terrorists of the 1960s and ‘70s. The Saudi Arabian regime, long propped up and defended as a bulwark against Soviet communist expansion and against Soviet-sponsored Ba’athist or other secular radical interests, only to become the source of Wahhabist rejectionism and terrorism, fell under the sights of one of its own, Osama bin Laden – himself a product, of sorts, of the reactionary extremism the Saudi regime inadvertently provoked through its massive corruption, emphasis on materialism, and religious hypocrisy. The 1979 Soviet invasion of Afghanistan rallied militant Muslims among the many who came to help the mujahideen resistance fighters in a just war against aggression and occupation. The Afghan fighters came together as a new force of their own, with some like Bin Laden marginalizing themselves to expand the war against all “infidels,” especially the United States, after the Soviet defeat. The Soviet occupation of Afghanistan brought together some of the most militant of the world’s anti-Soviet Muslims, the violent, Wahhabi Islamists, uniting them with Saudi financial support as a battle-hardened internationalist force that viciously turned against the West as the USSR collapsed. Here one can paraphrase Possony by saying, had there been no Soviet invasion of Afghanistan, there might never have been an Osama bin Laden or al Qaeda. Soviet-occupied Afghanistan was the first major opportunity for violent Muslims to join together in a real honest holy war that wasn’t controlled or tainted by the Palestinian question. One of the major benefactors of the anti-Soviet mujahideen in Afghanistan, apart from the United States, which sought to channel military support to the more moderate factions led by commanders like the late Ahmad Shah Masood, was Saudi Arabia. Saudi aid to the more radical elements of the mujahideen (in partnership with elements of the Pakistani military and its ISI intelligence service) popularized and strengthened Riyadh’s intolerant and violent brand of Wahhabism which made war against traditional and classical Islam in addition to the Soviets and the West. In the 1990s, Palestinian terrorists organized under Hamas, Hezbollah and other groups, with varied Arab and Iranian backing, became more extreme than Arafat’s PLO, which found itself co-opted in a quest for diplomatic legitimacy as an embryonic Palestinian state. Osama bin Laden’s al Qaeda organization, based variously in Sudan and Taliban-ruled Afghanistan, targeted the Saudi monarchy but organized globally, training tens of thousands of Islamist terrorists from around the world in its camps and building alliances and franchises with terrorist groups on every continent, and al Qaeda cells in more than 60 countries. By the late 1990s al Qaeda had become the premier terrorist international force, based in a ravaged Afghanistan that the West had abandoned but that the Islamists, led by the Taliban militia with strong Saudi and Gulf state support, took for themselves. Al Qaeda members of various nationalities linked together in operational cells using much of the tradecraft of the KGB-trained terrorist networks of the 1980s. Many of the old Soviet-built terror networks remain. Some are the same old forces that were never defeated, never surrendered, never self-destructed, or never chose to join the democratic world. Revelation that the 2002 Palestinian intifada, led by a doddering 72 year-old Yasser Arafat, used booby trap bombs identical in every way to those of the IRA illustrates the continuum of the old Soviet-sponsored terror networks. Halfway around the world from the Middle East, in Colombia, authorities discovered similar explosive devices – along with at least three captured IRA men presently awaiting trial for helping the Revolutionary Armed Forces of Colombia (FARC), an armed offshoot of the Colombian Communist Party, ratchet up its urban warfare capabilities and specifically to master that IRA invention, the car bomb. Analysts are still trying to make sense of circumstantial evidence linking the Nicaraguan Sandinistas to extreme Islamist terrorism. Convicted Egyptian conspirators of the 1993 World Trade Center bombing in New York were found to have had genuine Nicaraguan passports, illegally issued to them from the foreign ministry in Managua, to provide false identities. Another Central American connection emerged with the 11 September 1991 attacks: In Virginia, illegal aliens from El Salvador ran fake ID rackets and provided some al Qaeda hijackers with false identification papers. Most Salvadoran organized crime and violence in the United States, according to a new study, is run by illegal aliens who formerly fought as guerrillas and terrorists in the Soviet- and Cuban-backed Farabundo Marti National Liberation Front (FMLN). Salvadoran street gangs calling themselves MS-13 spread west to east across the U.S., and in a short time earned the reputation of being one of the most dangerous and violent street gangs in the country. MS-13 is “responsible for the execution of three federal agents and numerous shootings of law enforcement officers across the country,” according to the Orange County, California, District Attorney’s office. The group’s members include career gangsters from El Salvador and former combatants of the FMLN. Federal officials, journalists and scholars are still learning about the new jihadist terrorist networks and their connections. They can learn much from Possony, who taught that one could divine much about terrorist groups, their sponsors, and their covert linkages simply by studying their overt traits. His methodology, structural analysis, enabled him to determine individuals’ exact relations with the Soviets, like Waddih Haddad. Examining 21st century terrorism and its linkages inside the United States reveals a surprising pattern: the pro-Soviet paleo-Left and old “New Left” terrorist support groups that facilitated activities for the IRA, ETA, and so forth, and more actively provided material, legal and political support for domestic terrorists of the Weather Underground, the May 19 Communist Organization, the Black Liberation Army, the Republic of New Afrika, the Puerto Rican Armed Forces of National Liberation (FALN) and Macheteros, among others, have made common cause with the jihadists, including al Qaeda. Several support networks exist. The International Action Center, founded by former U.S. Attorney General Ramsey Clark and staffed by veterans of a splinter Marxist-Leninist group called the Workers World Party, organizes most of the large street demonstrations, protests, and staged media events to oppose U.S. efforts to fight Islamist terrorism, and overtly to support international groups identified as terrorist organizations. In early 2002, the group organized large, multi-day protests in solidarity with the Hamas/Hezbollah intifadah in the Middle East, and with the FARC in Colombia. Hives of lawyers who specialized in the defense of Communist clients during the Cold War have, since the Soviet collapse, invested their talents in defending terrorist causes. One of the fixtures is the Center for Constitutional Rights (CCR), founded in 1966 by the late William Kunstler to litigate against internal security laws and to provide legal support for political extremists, including terrorists. The CCR’s goal, according to Kunstler, was to keep in the streets those who would destroy the American system. In its latest incarnation, the CCR has been advocating on behalf of Taliban and al Qaeda members held at the U.S. Naval Base in Guantanamo Bay, Cuba. In the 1990s, Kunstler protégés Lynne Stewart and Stanley Cohen joined Ramsey Clark as the legal defense team for Sheik Omar Abdel Rahman, the Egyptian “Blind Sheik” whom a jury convicted as a mastermind of terrorist conspiracies to bomb commuter bridges and tunnels in New York, the FBI field office in Manhattan, the United Nations building, and the World Trade Center in 1993. In 2002, federal authorities arrested Stewart for allegedly helping the imprisoned sheik to send orders from prison to terrorists under his command. Stewart retained her own defense counsel, Susan Tipograph, herself a May 19 Communist Organization veteran who won notoriety in the 1970s and ‘80s by defending terrorists like Puerto Rican FALN bomb-maker William Morales. Another support network, the New York-based National Coalition to Protect Political Freedom (NCPPF), provides legal support to terrorist individuals and organizations. NCPPF was founded in the late 1960s to support New Left armed clandestine groups like the Weather Underground, May 19 Communist Organization, Black Liberation Army, and Puerto Rican FALN. The NCPPF is another illustration of the nexus between communist and other far-left Americans and Islamist jihadists. In recent years the NCPPF has lobbied and litigated to weaken or repeal U.S. anti-terrorism laws, defend terrorist suspects in court, sue and agitate politically to overturn terrorist convictions; and to assist with fundraising for terrorist groups on First Amendment grounds. NCPPF’s membership includes supporters of Hamas, Hezbollah, Palestinian Islamic Jihad, Basque Fatherland and Liberty (ETA), the Popular Front for the Liberation of Palestine (PFLP), the IRA, and the Shining Path of Peru. Its clients include the individuals convicted for the bombing of the U.S. Capitol in 1983, and the 1993 bombing of the New York World Trade Center. NCPPF President Sami al-Arian, a professor at the University of South Florida, has been identified as a fundraiser and operative for suicide bombers abroad. Running NCPPF on a day-to-day basis is Kit Gage, a longtime legal activist and executive director of the National Lawyers Guild (NLG), founded in the 1930s as the “main legal bulwark of the Communist Party USA, its fronts, and controlled organizations.” NCPPF has even broadened its base to welcome libertarians into its big tent. A common enemy, the United States, has trumped doctrinaire ideologies of both communists and Islamists. Moderate American Muslims have even likened the militant Wahhabi networks in the U.S. to communist and Soviet front organizations. These are the public and semi-public, above-ground networks. What lies beneath is unknown. But the terrorists are seldom far from their supporters. The fight against terrorism is as much a matter of political strategy as it is a matter of police tactics. Armored cars, bulletproof vests and hard-boiled negotiators should be our last recourse. More important are the ways in which we might weaken the states and organizations which sustain the terrorists. The support apparatus is both the strength and the potential weakness of the terrorist organization. It provides them with safe houses, arms, propaganda and legal defense. . . . The support apparatus is also the recruiting ground for the active terrorist organization. Not only did Stefan Possony begin the American-based research that mapped Soviet bloc linkages to 1970s terrorism a quarter-century ago; his work helped prompt the U.S. intelligence community to reassess its own collection and analysis and to look in areas it had long dismissed or ignored. Soviet politburo archives unearthed after the 1991 Moscow coup provided the final proof. Even more, Possony was one of the first Americans to note the operational and strategic links between communist terrorists and secular Arab and extreme Islamist terrorists. The Soviets built up the regimes that ultimately populated the U.S. State Department’s list of state sponsors of terror, and essentially founded the trio of regimes now called the Axis of Evil. Understanding the networks and tradecraft, and keeping in mind that terrorists cannot flourish without active civilian logistical, political, legal, and material support networks, is key waging the war against terrorism successfully. For these reasons, historical study of the old communist terrorist linkages and the political warfare campaigns that surrounded them, as well as the witting and unwitting American collaborators who toil to bind the counterterrorists’ hands while keeping the terrorists at large, will be vital to fighting and defeating the new terrorist enemy in the years and decades ahead. *J. Michael Waller is the Walter J. and Leonore Annenberg Professor of International Communications at the Institute of World Politics in Washington, D.C. He is also vice president of the Center for Security Policy. His books include Secret Empire: The KGB In Russia Today (Westview, 1994). Stefan T. Possony and L. Francis Bouchey, International Terrorism: The Communist Connection(Washington: American Council for World Freedom, 1978). Claire Sterling, The Terror Network (New York: Holt, Rinehart and Winston/Reader’s Digest Press, 1981). Casey himself wrote about the terrorist networks in an essay titled, “The International Linkages: What Do We Know?” in Uri Ra’anan, et al., eds., Hydra of Carnage: International Linkages of Terrorism – The Witnesses Speak (Lexington: Lexington Books, 1986), pp. 5-15. Possony, pp. 1-2. Emphasis in original. Lenin, TK. Also see, Boris Ponomarev, Lenin and the World Revolutionary Process (Moscow, USSR: Progress Publishers, 1980). Title 22 of the United States Code, Section 2656f(d). According to the U.S. Department of State, “For purposes of this definition, the term ‘noncombatant’ is interpreted to include, in addition to civilians, military personnel who at the time of the incident are unarmed or not on duty.” See Patterns of Global Terrorism – 2000 (Washington: U.S. Department of State, 2001), introduction. Among the earlier works: Ray S. Cline and Yonah Alexander, Terrorism: The Soviet Connection (New York: Crane Russak, 1984); Samuel T. Francis,The Soviet Strategy of Terror (Washington: Heritage Foundation, 1981); Roberta Goren, The Soviet Union and Terrorism, Jillian Becker, ed. (London: George Allen & Unwin, 1984); Uri Ra’anan, et al., eds., Hydra of Carnage: International Linkages of Terrorism – The Witnesses Speak (Lexington: Lexington Books, 1986); Herbert Romerstein, Soviet Support for International Terrorism (Washington: Foundation for a Democratic Education, 1981). Taking control of the Senate with the Reagan election of 1980, the Republican lawmakers created the first congressional panel to deal specifically with terrorism, the Subcommittee on Security and Terrorism, which further documented Soviet-bloc support for terrorism and the international terrorist networks. Cf The Role of the Soviet Union, Cuba, and East Germany in Fomenting Terrorism in Southern Africa, Hearings before the Subcommittee on Security and Terrorism of the Committee on the Judiciary, United States Senate, 97th Congress, 2nd Session, March 22, 24, 25, 29, and 31, 1982. KGB memorandum to Leonid Brezhnev, 16 May 1975, No. 1218-A/OV, in Albats’ collection, quoted in Albats, p. 229. Albats shared dozens of these documents with the author in Boston and Moscow in 1992 and 1993. Original document quoted by Albats, pp. 229-230. Stennogramma parlamentskiy slushaniy po rassledovaniyu finansovoy deyatelnosti KPSS[Transcript of parliamentary hearings investigating the financial activity of the Communist Party of the Soviet Union], Russian Federation Supreme Soviet, 10 February 1992, cited by Albats, p. 230. A copy of the original Russian stenographic notes, along with an English translation, are in Waller’s collection. John O. Koehler, Stasi: The Untold Story of the East German Secret Police (Boulder: Westview, 1999), pp. 325-401. Romerstein, pp. 20-21; Roger Fontaine, Terrorism: The Cuban Connection (New York: Crane Russak, 1986). William Ratliff and Juan Antonio Rodriguez Menier, Inside the Cuban Interior Ministry (Washington: Jamestown Foundation, 1994). For a description of the relationship, see David J. Kopilow, Castro, Israel & the PLO (Washington: Cuban-American National Foundation, 1984). Joseph S. Bermudez, Jr., Terrorism: The North Korean Connection (New York: Crane Russak, 1990). George Lardner, Jr., “Nixon Archives Portray Another ‘War’ on Terror,” Washington Post, 8 May 2002. Qiao Ling and Wang Xingsui, Unrestricted Warfare (Beijing: PLA Publishing House, 1999), translated by the U.S. Department of Defense. Published in the U.S. with an introduction by Al Santoli as Unrestricted Warfare: China’s Master Plan to Destroy America (Newsmax, 2002). David Satter, “The Shadow of Ryazan: Is Putin’s Government Legitimate?” National Review Online, 30 April 2002. “Overview of State-Sponsored Terrorism,” Patterns of Global Terrorism – 2000 (Washington: U.S. Department of State, 30 April 2001). Augustus R. Norton, Moscow and the Palestinians (Miami: University of Miami, 1974), cited by Possony, pp. 31-32. Cline and Alexander, pp. 37-49. For a more detailed study of Soviet policy toward the PLO, see Richard H. Shultz, Jr., The Soviet Union and Revolutionary Warfare: Principles, Practices, and Regional Comparisons (Stanford: Hoover Institution Press, 1988), pp. 76-114. Ladislav Bittman, The KGB and Soviet Disinformation: An Insider’s View (Washington: Pergamon Brasseys, 1985), pp. 109-110. Bittman, p. 111. These include Kurdish groups such as the Marxist-Leninist PKK, which received covert KGB support through 1991 and continued to enjoy audiences with senior post-Soviet Russian officials, such as foreign intelligence chief-turned-premier Yevgeny Primakov. Bittman, p. 115. The People’s Mujahideen of Iran retains its Marxist-Leninist ideology as of this writing, operating in military bases inside Iraq and under Iraqi government sponsorship. The State Department terms the People’s Mujahideen a terrorist organization. The Organization of People’s Fedayeen Guerrillas, trained at PLO camps and given Soviet covert propagandistic support, became the core cadres for Khomeini’s Revolutionary Guards as well as the Tudeh Youth. Patterns of Global Terrorism – 2000 (Washington: U.S. Department of State, 30 April 2001). “Iran and Cuba Bolster Ties, Strengthen Anti-U.S. Solidarity,” Agence France Presse, 10 May 2001. Cf. Kori N. Schake and Judith S. Yaphe, The Strategic Implications of a Nuclear-Armed Iran(Washington: Institute for National Security Studies, National Defense University, McNair Paper 64, 2001). John R. Bolton, “Beyond the Axis of Evil: Additional Themes from Weapons of Mass Destruction,” Heritage Lectures, No. 743, 6 May 2002. David Bamber, “IRA Role Seen In Bombs at Jenin,” Sunday Telegraph, London, 28 April 2002. Jon Ward, “Salvadoran MS-13 gang rated among the most violent,” Washington Times, 24 August 2002, p. A10. J. Michael Waller, “Domestic Front in the War on Terror,” Insight, 7 January 2002. The International Action Center publishes its organizing activities on its Website, www.iacenter.org. 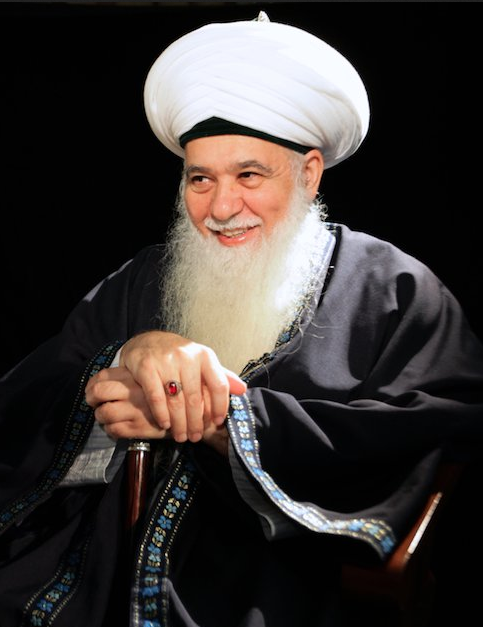 Shaykh Muhammad Hisham Kabbani, “Islamic Extremism: A Viable Threat to U.S. National Security,” transcript of speech at the Open Forum, U.S. Department of State, 7 January 1999; “Terrorist Threat in America: Extremist Wave Threatens to Engulf Muslim Americans,” Statement by the Islamic Supreme Council of America, The Muslim Magazine, Vol. 2, No. 1, January 1999; and J. Michael Waller, “‘Wahhabi Lobby’ Takes the Offensive,” Insight, 5 August 2002.